Ca Mau (VNA) - Authorities in the southernmost province of Ca Mau should accelerate the administrative reform process and offer the most beneficial policies for investors, business leaders have said. The provincial People’s Committee has held a dialogue with nearly 100 representatives from businesses and cooperatives in the province to detail the province’s socio-economic situation and investment attraction policies as well as to fix difficulties for enterprises. Many enterprises in the province expressed concerns, proposing that provincial authorities take measures to support firms and remove difficulties in investment, production and business. Nguyen Tien Dung, a representative from Thuan Nhat Ca Mau Specialties Company Limited, suggested that Ca Mau authorities continue implementing supportive policies, especially those relating to financial support for startups. Huynh The Gioi, a representative of Ca Mau Housing Investment and Development JSC, lauded the province’s efforts to improve the investment environment and administrative reform, creating favourable conditions for investment projects in the province. However, he said, there remained inappropriate policies and regulations related to planning and the implementation procedure of projects, wasting firms’ time and risking a loss of investment opportunities for the province. Prolonged procedures to grant land use rights for projects and degraded infrastructure also affected investment activities in the province, Gioi said. Nguyen Duc Nam, a representative of Hoa Hiep Passenger Company, complained about unhealthy competition in passenger transportation in the province, adding that drivers often fight amongst themselves for passengers, causing traffic disorder in the locality. 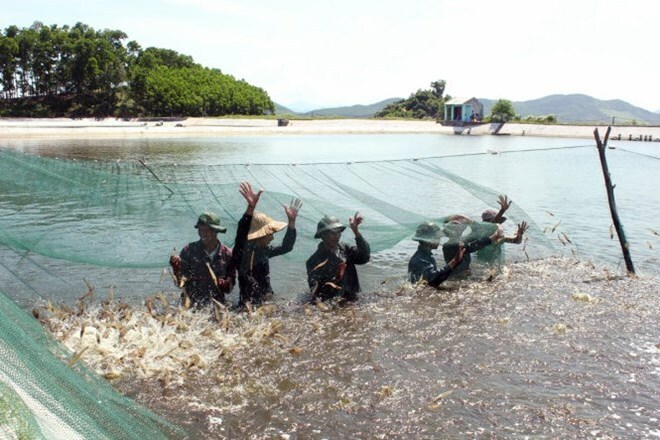 Nam requested that provincial authorities handle the situation in a timely manner to create a good image of Ca Mau province in the eyes of visitors and guests. At the conference, leaders of the State Bank branch in Ca Mau, the provincial Department of Industry and Trade, Department of Science and Technology, Department of Planning and Investment and Department of Natural Resources and Environment listened to businesses’ feedback and proposals on the development of brands and the protection of trademarks. Firms were also encouraged to step up the fight against fake goods and poor-quality products and to propose preferential mechanisms and policies on land tax, credit loans and investment in the construction of transport infrastructure, as well as handling environmental pollution and better managing construction material prices. One of the most concerning issues during the meeting was the inventory of shrimp shells in seafood processing factories in Ca Mau, which has the country’s largest shrimp cultivation area. Previously, enterprises could sell shrimp shells for 20,000 VND per kilogramme to businesses who buy shells to process shrimp powder, but no one buys them anymore. Firms attributed the problem to factories’ poor waste treatment and outdated technologies, resulting in a buildup of shrimp shells at many seafood processing factories in the province. Nguyen Tien Hai, Chairman of the provincial People’s Committee, requested that the provincial Department of Natural Resources and Environment work with agencies and enterprises to propose measures to tackle the problems. Hai said the Ca Mau People’s Committee pledged to continue to create favourable conditions and beneficial policies to support investors and businesses. Up to now, provincial authorities have granted registration certificates to more than 4,600 enterprises, with total registered capital exceeding 29 trillion VND (1.3 billion USD).